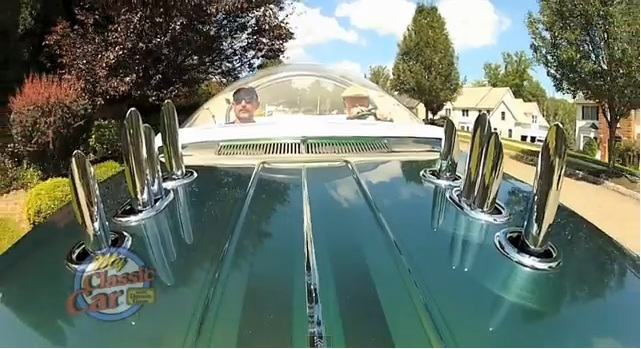 DeadMans Curve Car club members have been featured on the Television show "My Classic Car With Dennis Gage"
Starting with The Wild Hot Rod Party,then with Andy Wic and his 1963 Plymouth Fury, "Gas Bubble"
along with his outrageous 1962 Dodge Pioneer Wagon. Haven't got enough of Dennis Gage featuring Wild and Outrageous DMC cars? You can watch both full episodes right here. DeadMans Curve would like to thank Dennis and crew for all his support! We'll go for a spin in a Plymouth gasser and Ford roadster this week on MCC! Check it out this Saturday at 8:30 AM ET on Velocity!